Nice Occupied Japan couple getting ready to go out for the evening. 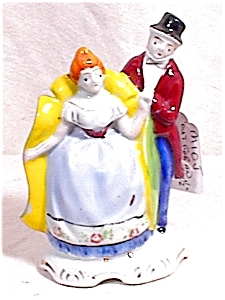 Well executed, perfect condition, couple stands 4 1/2" tall. "red mark"